In what can be seen as building on a good thing—and a taste of what’s to come—Isaac Grillo is hopping behind the white marble at Bar Tulia on Thursday, May 26. 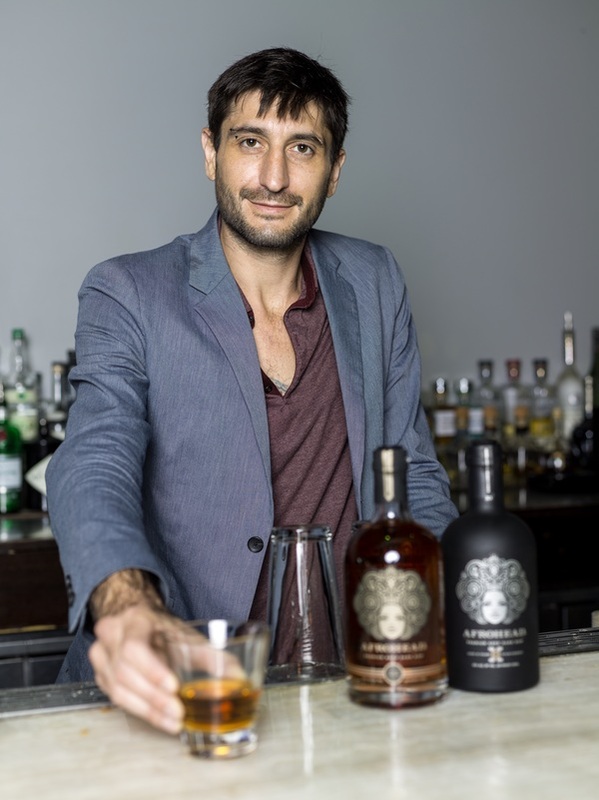 Grillo, one of Miami’s best-known mixologists and owner of Repour in South Beach, is visiting as part of Bar Tulia’s ongoing summer guest bartender series. The Naples watering hole has carved its niche featuring some of the most creative drinks on this stretch of coast, many deploying fresh herbs and botanicals and house-made syrups; Grillo’s M.O. is on the same wavelength (he cultivates an herb garden for Repour). His recipes, like one inspired by an Old Fashioned deploying rum aged in bourbon barrels, may give craft cocktail fans more reason to cheer. Before Grillo struck out on his own he was known for his work at HaVen—and the second location of that Miami-based lounge is currently under construction at the Fort Myers Bell Tower Shops. Alexander’s is staying open till the end of June, which means something bigger for Southwest Florida. 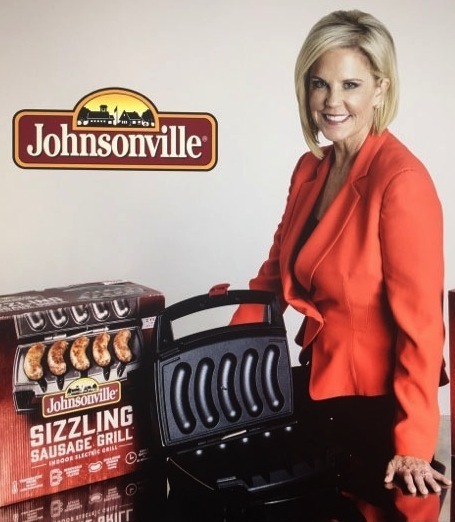 Condo rules won’t let you grill on your balcony for Memorial Day? Check out a Naples food entrepreneur’s hot new product. The Grape Celebration on June 3rd promises endless pours and food from Crave Culinaire. Don’t miss the final week of a limited run blueberry U-pick. A trek to the Arcadia farm is worth it for buckets of the sweetest little juicy fruits. 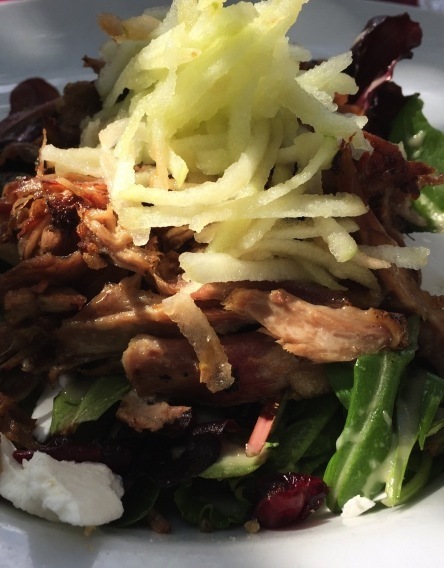 • Chicken Salad Chick: This Southern-styled fast casual franchise hatched last week in Naples and carries an impressive array of 15 different chicken salads, in addition to pasta salad, fruit salad—and deli sandwiches for good measure. • The Coupe: A family with years of experience crafting corned beef hash omelets, fried chicken ‘n’ waffles, strawberry cheesecake French toast and other creative recipes for breakfast and lunch has relocated to Southwest Florida and opened this cute café on the East Trail close to downtown Naples. • Mino: A new pizzeria in an Old Naples boardwalk near Tin City is making an impression with white and red pies fired in a brick oven incorporating fresh flavor combinations, like mushrooms with smoked mozzarella, white truffle oil and imported prosciutto. • Saturday, May 28, Matanzas on the Bay in Fort Myers Beach is hosting its third annual Bluegrass, Brew and BBQ. Lasting all day (from 11 a.m. to 10 p.m. with live music), it’s $15 for the all-you-can-eat spread with ribs, smoked pork and corn on the cob and benefits Operation Open Arms, which helps servicemen and veterans with PTSD. • Saturday, Sunday and Monday (May 28-30) the Beach Box Café across from Vanderbilt Beach is moving the grill outside and setting up a draft beer bar; 10 percent of all sales will go to Collier County Honor Flight (which sends veterans to visit their national war memorials) and military members past and and present get 10 percent off their checks. • Helping Southwest Floridians live a farm-to-table life, the Bonita Springs’ farmers market held at the Promenade extended its run until the end of May, keeping its Saturday 8 a.m. to noon schedule through the 28th. • Did you know Saturday, May 28, is also National Hamburger Day? You can get a fix at any of these dependable spots, but really you can pretty much find meat patties being slung on a grill or griddle almost anywhere, even Masa! • If “Cruisin, Boozin & Schmoozin” followed by a “Celebrity Karaoke Bar Bash” sounds appealing, take a drive to Marco Island on May 29 for these back-to-back parties that start at noon for this year’s SoapFest Charity Weekend (more than a dozen soap opera stars fly in to rub elbows with Southwest Floridians). • On the heels of announcing plans for Zen Asian Noodle House in Estero, the owners of Zen Asian BBQ in Naples have launched the “Summer of Ramen,” rolling out a ramen tasting menu and a new special noodle bowl each week. • The Wine Cellar of Naples, a tiny boutique wine shop that opened in Mercato late last year, has been great about hosting tastings (blind match-ups, verticals, you name it) and partnering with nearby restaurants. Check out the upcoming five-course wine dinner at Seasons 52 on Tuesday, May 31 ($130 per ticket) with pairings like Blackbird Vineyards’ Cabernet Franc and Merlot blend with a Kona-crusted New Zealand lamb chop. Call the shop for any openings at (239) 631-6088. • If you’ve spoken to a millennial in N.Y. or L.A. in the past year—or our very own Dr. David Perlmutter—you know kombucha is the “It” drink. Wine, coffee, beer and shamrock shakes can’t offer any of the gut-promoting health benefits the fermented tea does, but it can be an expensive habit, whether you get it on tap at places like The Bowl or by the bottle at Whole Foods. As part of the Happy Belly Bundle series of classes from New Age nutrition coach and chef Laura Grammatico, she’s offering a workshop on June 3 on how to brew it at home for pennies per the gallon (the $35 tickets are available here). • Azure, the darling French spot in Fort Myers led by the former executive chef at Mereday’s, is now starting to host wine dinners. 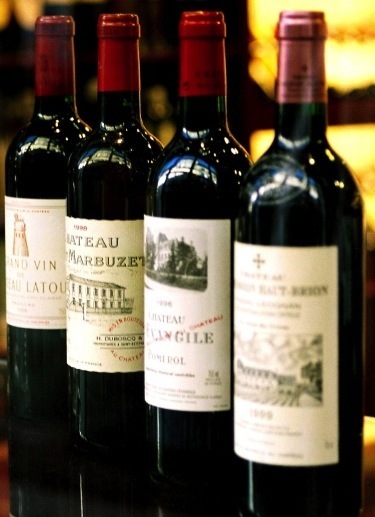 The first is on May 26 and will feature French wine, and more will be scheduled every four to six weeks. • Xavier Duclos, a chef who made waves nationwide for his insistence on not serving ketchup with French fries (and got many an angry Yelp review locally), has left Mad Fresh Bistro, which is owned by the same couple as Azure. His sous chef is now heading the kitchen, and we’re excited he’ll bring attention back to the top-notch casual French fare. • MidTown Kitchen + Bar, Mike Hernandez’s new project near Food & Thought off Golden Gate Parkway, is slated to open Thursday, June 2. • “The Collections,” a new development, is about to go vertical on Naples Boulevard in front of the Regal Hollywood theater (with an estimated completion in spring 2017); among the mix will be the second Firehouse Subs from local franchisees Todd Guller and Katherine Petrone. In the May issue of Gulfshore Life ... I select where you need to be dining right now in this year's Best of the Gulfshore. Pick up a copy on newsstands today! 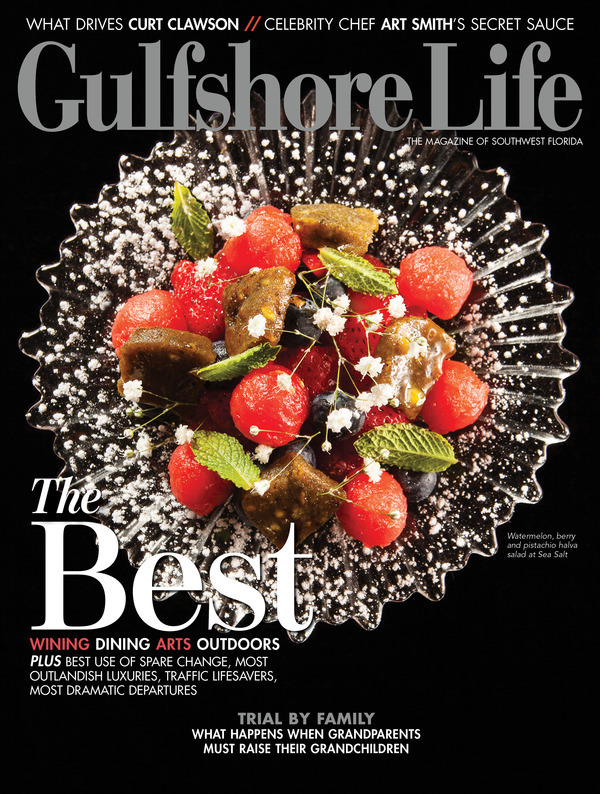 It's upon us ... the Best of the Gulfshore is on newsstands now! See both our full critic's picks and reader poll results for what and where you need to be eating, drinking, shopping, sporting and more. Gulfshore Life’s food and wine editor, at dsonne@gulfshorelife.com. 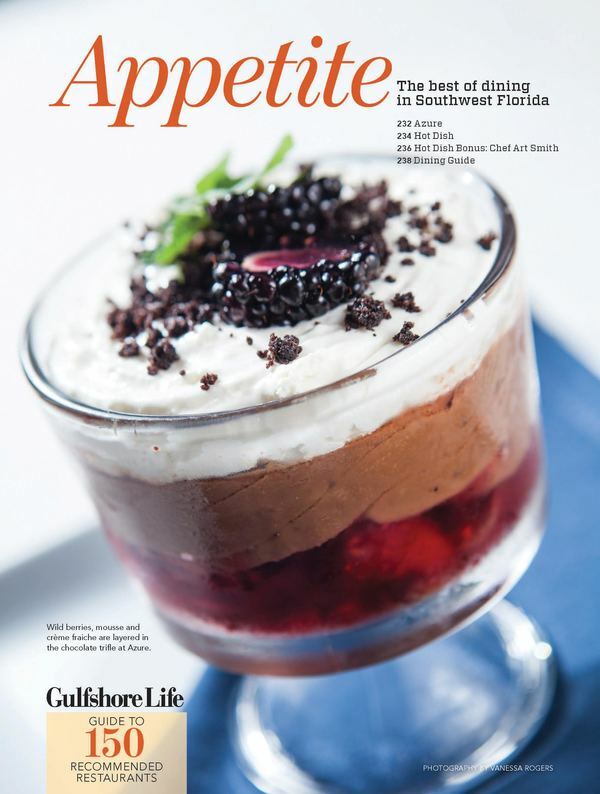 If you are interested advertising in Hot Dish, contact Diane LeBreck at dlebreck@gulfshorelife.com. If you have received this as a forwarded message, click here to sign up for Hot Dish to be delivered to your inbox.